I think the last thing on this person’s mind was the cane. 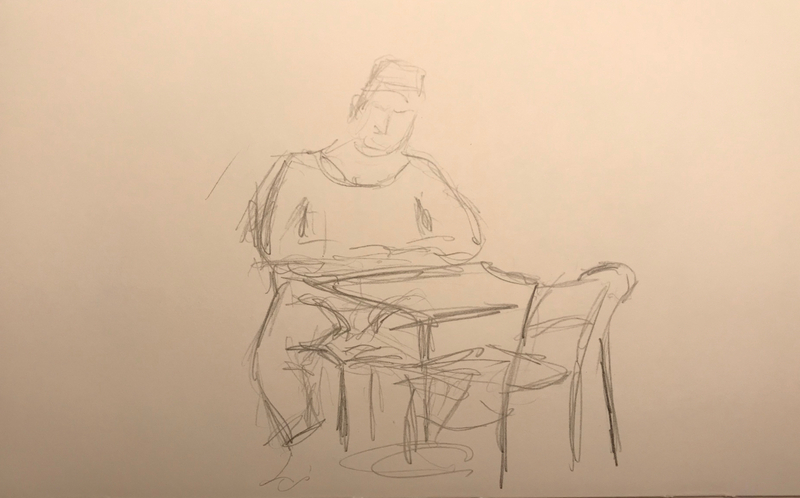 This entry was posted in Personal Stories and tagged art, artistic expression, cane, creativity, drawing, pencil sketch, portrait, portraiture, waiting, waiting series. Bookmark the permalink.